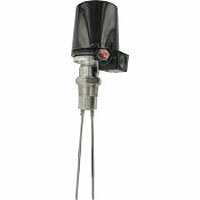 The SERIES E, G, & P Ultra-Mag™ is an explosion-proof series of level switches for powder and bulk solids that utilize a unique magnetic linkage and diaphragm design to sense the presence of powder and bulk solids in a variety of bins, vessels, and hoppers. A choice of either suspension or flange mounting is available to match your application. Flange mounting is the best choice for control of low or intermediate level in vessels containing granular product that does not "bridge", "rathole", or otherwise build up on vessel walls. 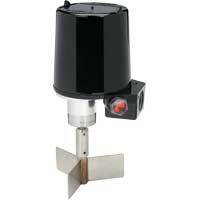 Choose suspension mounting for high level in vessels and for better operation with "bridging" product. 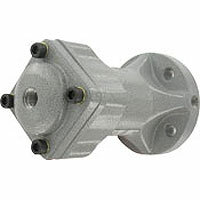 Note: The mounting configuration is represented by the letter "S" for suspension or "F" for flange which is the second digit in the part number. Compatible powder or bulk solids. Mounting Flange: See Catalog Page. Aluminum or 304 SS. Diaphragm: See Catalog Page. Urethane, Buna-N, PTFE, Silicone Rubber, Polyester, Fluoroelastomer, White Buna-N (food grade), or EPDM. Depends on diaphragm material, see Catalog Page. 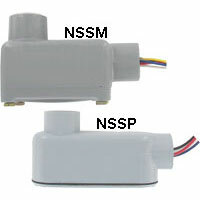 Standard switch: -40 to 185°F (-40 to 85°C), high temperature switch: -40 to 350°F (-40 to 176°C). General purpose or weatherproof and explosion-proof. See Catalog Page. 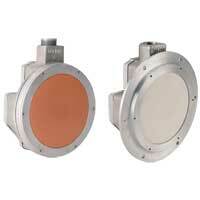 18 gage solid core, 600 volt TEW 105°C, style 1015. Epoxy sealed at conduit entrance. 12" (304.8 mm) long. For flanged models standard is 8-3/8" (212.725 mm) diameter bolt hole circle. 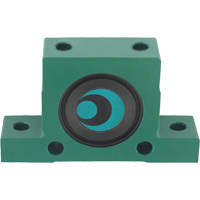 Flange mount or suspend depending on model. Suspension kits and flange adaptor rings. 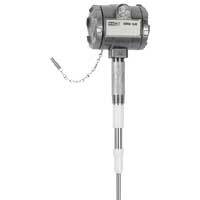 EXAMPLE EX P S D 16 A A3 Series EXPSD16A-A3 Ultra-Mag™ Level Switch, breathable polyester filter fabric diaphragm, explosion-proof (UL & CSA), suspension mounting, aluminum housing, SPDT, with high sensitivity actuator.